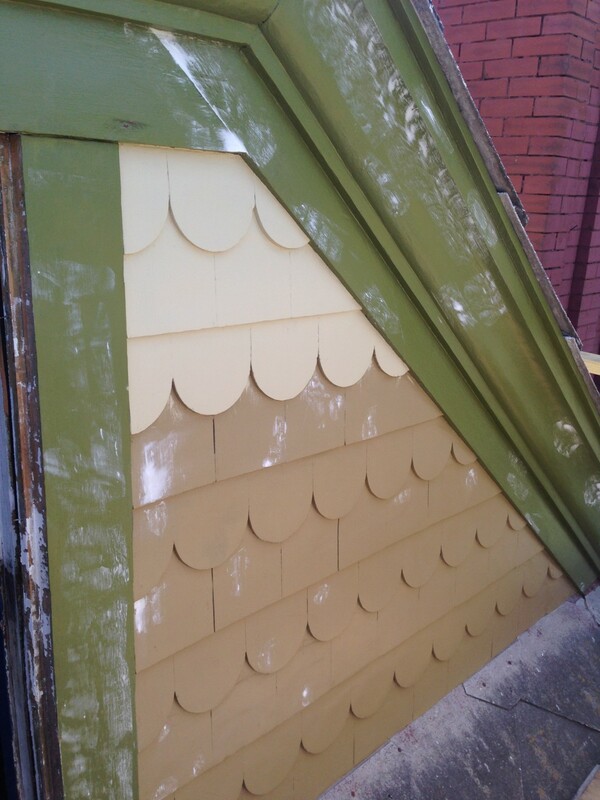 Yesterday, I did a post about the discovery of the original, confirmed exterior wall color of the Cross House. I was SO not happy with the results. Then Brandy commented, and stated that the sample Sherwin-Williams made up for me looked nothing like the color chip she found online. The lighter color is what Sherwin-Williams mixed for me, #8194 Capertree. It was from a old company called Duron, which SW purchased years ago. The darker wall color is what I have been painting the house since 2014, thinking that IT was the original color, or very near the original color. I love love live this color, and was totally depressed yesterday discovering it was WAY off. But this is what Brandy found online. And, gee, it looks a lot like what I have been using since 2104! So, did Sherwin-Williams simply mix the wrong color? In a few hours I will be at Sherwin-Williams, and hope to resolve this painting mystery! Thanks Brandy! I LOVE YOU! You might have saved me!!!!!!!! Good luck Ross. A lot can be lost in translation. We all hope this is the case for you and the Cross House. Yesterday was SO depressing. And all because of what might be a mistake. I have spent the last twenty minutes explaining to my roommate why I have been so emotional about paint the last two days. I ain’t mad about it. Waiting with bated breath over here! What happened?!?!? I’m just sorry I couldn’t find you a green sink before evil Ross stole that one from that poor lady.